Some Delaware lawmakers and Delmarva Power ratepayers say it’s time to re-examine an agreement with Bloom Energy forcing a controversial $5 fee on to Delmarva utility bills. The Public Service Commission rejected a petition to review the 2011 deal creating the surcharge, saying it lacks the authority to do so. The petition by a Middletown ratepayer argues Delmarva customers shouldn’t be on the hook for the fee through 2033 because Bloom Energy has already failed to live up to its promises, including job creation and environmental benefits. But Public Advocate Drew Slater said the Public Service Commission really doesn’t have the authority to review the contract. State Sen. Dave Lawson (R-Marydel) was one of two senators who voted against the deal. He says lawmakers were also promised the surcharge would stay around $1 a month. Lawson said the legislation or the contract should be changed. “If they’re unwilling to negotiate and be fair about this, then maybe there’s another way we can legislate this out and if they want to sue the state then they sue the state,” he said. 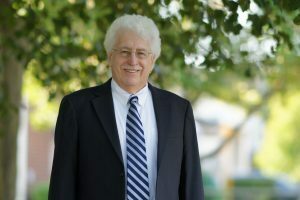 State Rep. John Kowalko (D-Newark South) said he wants to hold formal hearings next year on what options lawmakers might take to give relief to ratepayers. But Public Advocate Drew Slater said attempts to alter the contract may cause ratepayers to owe $400 million immediately. Residential customers would face an additional $700 payment right away – with commercial and industrial customers paying even more. The Bloom contract only allows the state to claw back money if the company doesn’t create enough jobs. Last year, the company had to return $1.5 million for falling far short of the 900 workers it promised to hire.